at my home in Colorado Springs!!! • Bring a friend and get a FREE GIFT for both you and your friend! • Bring a camera to capture creative inspiration! You must RSVP to reserve your spot and your supplies. Please choose a session from the dates/times above, and click the link to RSVP. Set your Time Zone, enter the Quantity of people you'd like to RSVP for (RSVP individually for each party who would like to receive their own reminders), then click on the date you'd like to attend, in the calendar that shows up. WANT CATALOGS, BUT CAN'T COME TO THE EVENT? I've been working behind the scenes (and through my kitty's roller coastering health issues) to come up with a plan for offering classes that will be much more predictable and (I hope) easier to understand. As there is interest, I am happy to add more classes, or help you Host your own Workshop/Party. Just email me and I'll see what I can do for you! With my new class offerings, there's something for everyone, whether you can come craft at my local Events, or you want to participate from home! I am planning to create PDFs with instructions, which link to walkthrough videos, and other resources and ideas relevant to each class, and these will go on sale as Digital ONLY Class Kits after the physical class is held. Each participant of a physical class will also get a complimentary copy of the Digital version of their class. For some events, Class Kits to Go will be offered, which will include consumable supplies sent via USPS, as well as email delivery of the Digital instructions/resources. The first event of any given month will generally be a Workshop, unless a new catalog or special product/line is coming out, in which case the event will be an Open House. A Workshop will include a demonstration of 3-4 projects, and one or two Make & Takes. 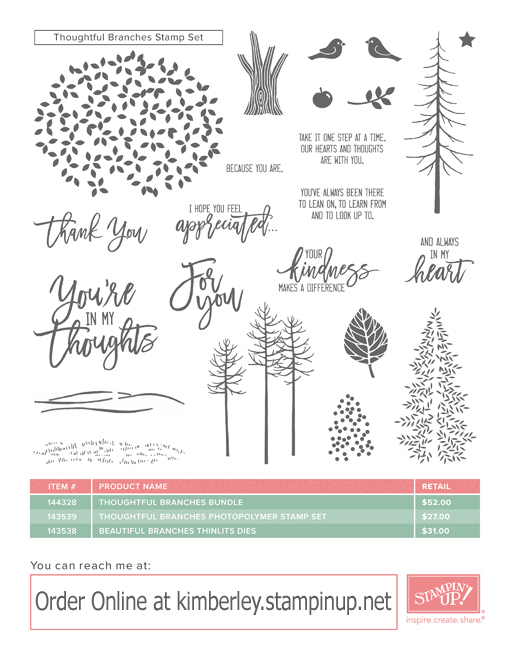 A limited number of Workshop Class Kits to Go will be available for order through the weekend of each Workshop as a pre-order item, and mailed out after I receive delivery of the supply products from Stampin' Up!. Digital ONLY Class instructions/references will be available for sale online after the event is held, and a complimentary copy will be emailed to those who have purchased a Class Kit to Go. An Open House will be a display of samples and products from the upcoming catalog(s), with one or two hands-on projects available. (There are no Class Kits to Go or Digital ONLY Class Kits available for an Open House...it is a physical attendance based event only.) Both these event types are FREE but I do require an RSVP through my Customer Events Page no less than 24 hours in advance, to reserve your project supplies. The second event of any given month will generally be a Card Class. You will make 8 cards (2 each of 4 designs), and your fee includes an envelope for each card. This class fee is set at a flat $20. RSVP through registration (with payment) on my Customer Events Page no less than 24 hours in advance, to reserve your project supplies. A limited number of Card Class Kits to Go will be available for order through the weekend of each class as a pre-order item, and mailed out after Stampin' Up! supplies are delivered to me. Card Class Digital ONLY instructions/references will be available for sale Online after the event is held, and a complimentary copy will be emailed to those who paid for the in-person class or purchased a Class Kit to Go. The third event of any given month will generally be a Product-Based Class. For this class type, you will need to order several items from my ONLINE STORE in time for them to be delivered to you--then you bring those items to enjoy a class I've created around them. RSVP through registration (with payment of a $6 supply fee) on my Customer Events Page no less than 24 hours in advance, to reserve your project supplies. The supply fee is to help cover the cost of items used for the projects, that you didn't buy and bring to class. Although the class for every product or group of products will look a little bit different, I envision this class content to be around 10-12 cards, or perhaps a couple fewer cards at times when a 3D projects are planned. Digital ONLY Classes will be offered for sale after the physical event, and a complimentary copy will be emailed to class registrants after the physical class is held. NO Class Kit to Go is available for this class type. The fourth event of any given month will generally be a Stamp Club Session. Members (and Non-Member Guests) of my Monthly Stamp Club may opt to join me during this event, to get a Technique sheet including a Try-It practice piece, and 2-3 simple projects. Members will pay a nominal supply fee of $3, Non-Member Guests may commit to a minimum $30 purchase towards that month's Club sales and make the projects for the same $3 supply fee. (ONLINE Members and Non-Member Guests alike can get a Class Kit to Go for the nominal $3 fee, if they purchase $30 towards that month's Club sales...and they will get not only the consumable supplies for the projects in the mail, but also a complimentary copy of the Digital ONLY version of the class via email.) Non-Member Guests who wish to attend the physical class but do not wish to make a minimum $30 purchase, may register for the in-person Club Session for a fee of $15 (payable to Demonstrator, not applied toward Club sales), however, NO Class Kits to Go will be available without a $30 minimum purchase. TIP: it's super easy to double-dip each month with the Product-Based Class and the Stamp Club Session...simply apply that month's Stamp Club Host Code to your Product-Based Class purchase, and you can get BOTH the Product-Based Class and the Stamp Club Session for the nominal supply fees of only $12 total!!! Check out my Customer Events Page and register for an event, or two, or MORE, today! NEW ROUNDS STARTING IN JANUARY 2017: Your Membership is secured on a first-come first-served basis, based on when I receive your completed and signed Stamp Club Contract. Anyone can always participate as a Non-Member, you just won't receive the extra perk of Host Benefits/Stampin' Rewards. What is a Monthly Stamp Club, and Why Would I Want to Join? A Monthly Stamp Club is based on a number of people committing to purchase a minimum amount of product over a specified commitment period, during which period each member gets assigned one month to receive Host Benefits/Stampin' Rewards based on the total sales amount. 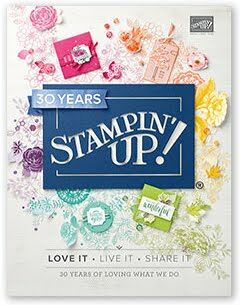 The minimum order total which qualifies for Host Benefits/Stampin' Rewards is $150 here in the U.S., so each month of the commitment period there will need to be enough sales from Members to reach at least that amount. Basically, if you are stamping at home, and you are placing orders semi-regularly or often for Stampin' Up! supplies, being part of my Monthly Stamp Club gives you the perks of "Hosting a Party" without ever having to do that! Plus, you get the option to attend an exclusive monthly class, or have the class consumable supplies mailed to you...whatever works best for your schedule! Monthly Stamp Club Member receives a FREE Annual Catalog, and any Seasonal Catalogs which are released during their Club commitment period. Non-Member Monthly Stamp Club Guests may choose to make the monthly Stamp Club minimum $30 purchase, and attend the local class for the same $3 supply fee, OR they may choose to attend the Stamp Club Session for a flat $15 fee. However, NO Class Kit to Go is available to Non-Members, that perk is ONLY for Members. Monthly Stamp Club Members receive a FREE Digital ONLY Class Kit for every Stamp Club Session during their commitment, whether or not they choose to attend. Our Club Session will always contain at least one Technique sheet, with instructions and a place to adhere a sample piece. That sheet will be included in the Digital ONLY Class Kit, so you can print it at home! Monthly Stamp Club Members receive special recognition during their birthday month. Monthly Stamp Club Members get FREE Product-Based Classes every month! Monthly Stamp Club Member receive discounts on SNAIL Adhesive Runners and Refills (only applies to purchases from Kimberley Morris, Independent Stampin' Up! Demonstrator). GREAT, HOW DO I JOIN?!? So glad you asked ;-) Just print out, fill out, sign, and return this Stamp Club Contract! You can scan it and email it to me, or contact me if you'd like to drop it by, put it in the mail, or FAX it to me. Membership is limited, and is assigned in the order I receive fully filled-out and signed forms with appropriate and complete payment information. Disclaimer: Part of the terms of your Monthly Stamp Club Membership is that you must place your order(s) through my ONLINE STORE. This carries a minimum shipping fee of $6.95 per order, but it allows you to place your order all the way up to the second to last day of the month, which also means your Guests for the month you HOST can place orders practically all month, and those orders ship separately to each person's home so they can live anywhere in the U.S.! This also means you can choose to place an order for a monthly Product-Based Class under a Monthly Stamp Club Host Code, and basically double-dip by qualifying to attend local classes (or get Class Kits to Go), and FREE Digital ONLY Class Kits! Still have questions?? Just drop me an email! There is a NEW Limited Edition stamp set that will be available from August 2nd through 31st (or while supplies last). 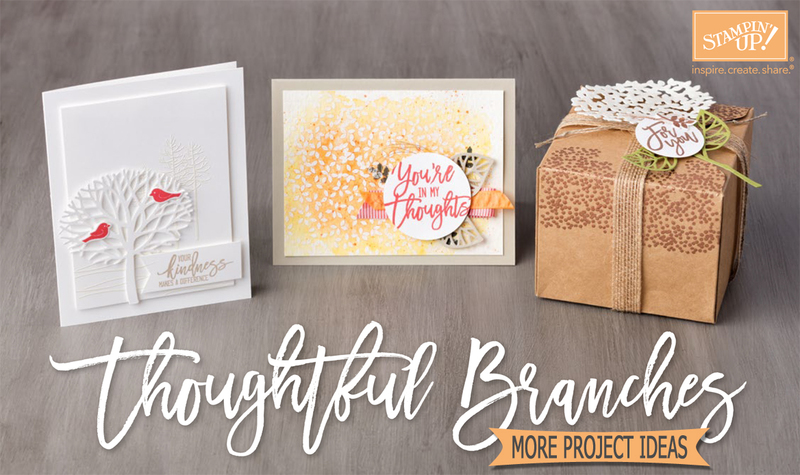 The stamp set is called Thoughtful Branches, and there are coordinating Beautiful Branches Thinlits...which you can also purchase together in the Thoughtful Branches BUNDLE. Stampin' Up! has created a set of projects with PDF instructions using the Thoughtful Branches Bundle, you can see those projects pictured below. 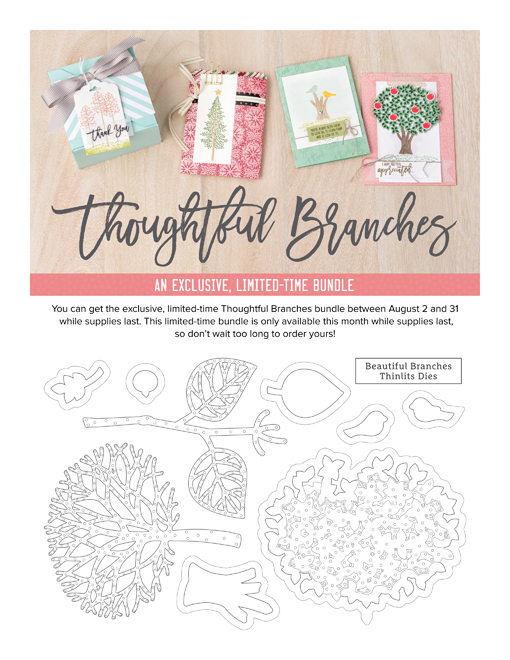 When you order the Thoughtful Branches stamp set, Beautiful Branches Thinlits, or the Thoughtful Branches BUNDLE (stamp set + dies) from me, I will email you that set of instructions for FREE! Welcome to the August 2016 Edition of the We Create Bloggers Step It Up Blog Hop! The idea is to inspire stampers with a basic design, and at least one alternate "stepped up" version of that same design. The basic version of my card is one we made in a Christmas in July card class this past weekend, featuring the Foxy Friends stamp set. Very simple and easy to reproduce, with a little bit of shiny Clear Wink of Stella on the hooves and antlers. My stepped up version uses the coordinating Fox Builder Punch...which you can actually get together with the stamp set at a 10% discount in the Foxy Friends BUNDLE. I used the punch to pop up the little reindeer head, and I think it looks a billion times cuter!!! Of course, lacquering the hearts and the little nose with the Fine Tip Glue Pen adds bling, along with the Gold Wink of Stella on the antlers and hooves. Using Shimmery White card stock for the stamping layer reflects light into the images and makes them brighter, too. It doesn't hurt that I threw the deeper Bermuda Bay color into the stepped up version, for a bit more contrast. Stampin' Supplies: Foxy Friends stamp set, Oh What Fun stamp set, Fox Builder Punch, Pool Party card stock and ink, Bermuda Bay card stock and ink, Real Red card stock and ink, Crumb Cake ink, Soft Suede ink, Whisper White card stock, Sparkle embossing folder, Basic Black striped Baker's Twine, Clear Wink of Stella, Gold Wink of Stella, Fine Tip Glue Pen, Mini Glue Dots, Stampin' Dimensional.